The mind and body is a unison and should be developed in unison. 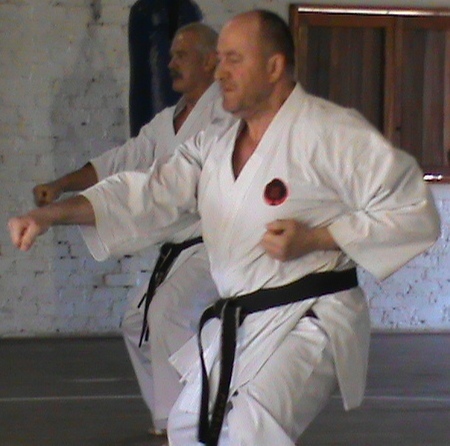 In following a Martial Art, the emphasis is on both – a good fighter should develop and use both. Appreciations of one’s own abilities and shortcomings as well as appreciation for other person’s abilities and shortcomings are characteristics of a successful fighter. For this purpose a simplified set of ethics or corporate personal objectives has been formulated. It must be stressed that there is absolutely NO religious connotations or implications in the Dojo Kun. It could be compared to the Logos used by schools or clubs to identify their aim, such as ‘Semper Fidelis’, ‘Altyd Vorentoe’ or ‘Per Aspera Ad Astra’ etc. The Dojo Kun used by SAGA is adapted from the original. Refrain from violent and uncontrolled behavior. Develop a spirit of endeavor and perseverance. Seek the true way of life through hard training and sacrifice of self interests. 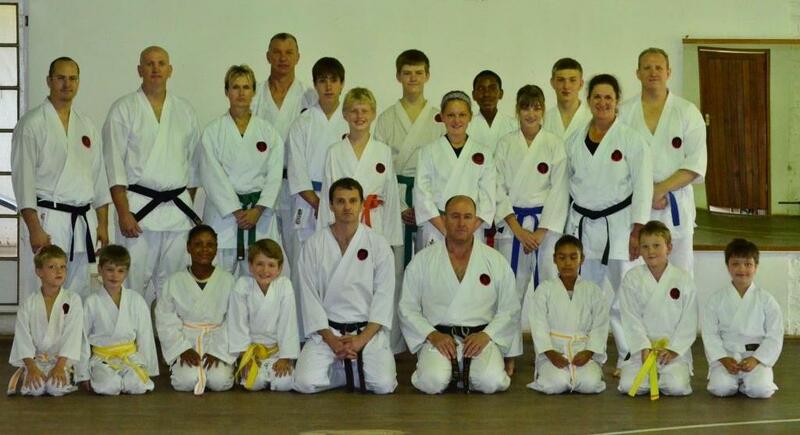 RESPECT: All senior karate-ka, the Sensei and the Yudansha (Black Belts) must be shown respect and be called by their respective titles by all junior grades. CO-OPERATION: Aid your progress by always co-operating with your instructor. 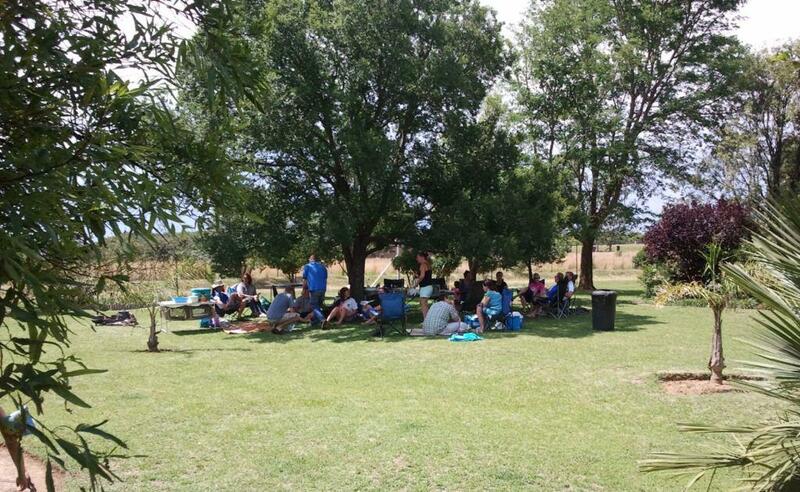 Extend this co-operation to your fellow students by helping them generously and offering advice if you spot errors in technique or manners, while also accepting their advice and assistance in a positive manner – be careful not be a “know all”. LEARNING: Listen to your instructor while he is correcting your faults. Never interrupt the instructor while he is explaining something. Never walk in between the instructor and another student while he is explaining something or talking to the other student. Only ask as a last resort – first establish whether you are supposed to know the answer to the question and could possibly be wasting other student’s time. COURTEOUSY: Always be courteous and friendly towards the instructor and your fellow students. MANNERISM: Always sit with crossed legs in the dojo while your instructor is explaining something and you have to sit down. 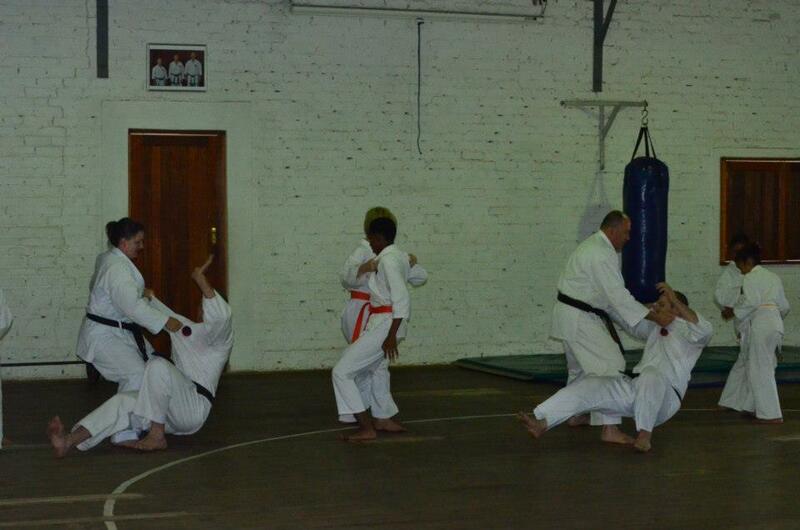 BOWING: This serves as a way of greeting and showing respect to the Dojo, the instructor and the fellow students. Bow whenever moving on or off the floor. MEDITATION: Classes begin and end with a short meditation in the “seiza” or seated position. The object is to relax and clear the mind to improve reflexes and to review and absorb your training. It has no religious connotation and could be compared to sitting in a quiet spot next to the sea to recreate the mind. PUNCTUALITY: Always arrive on time for class. If, due to circumstances beyond your control you are late, excuse yourself as you enter the Dojo. 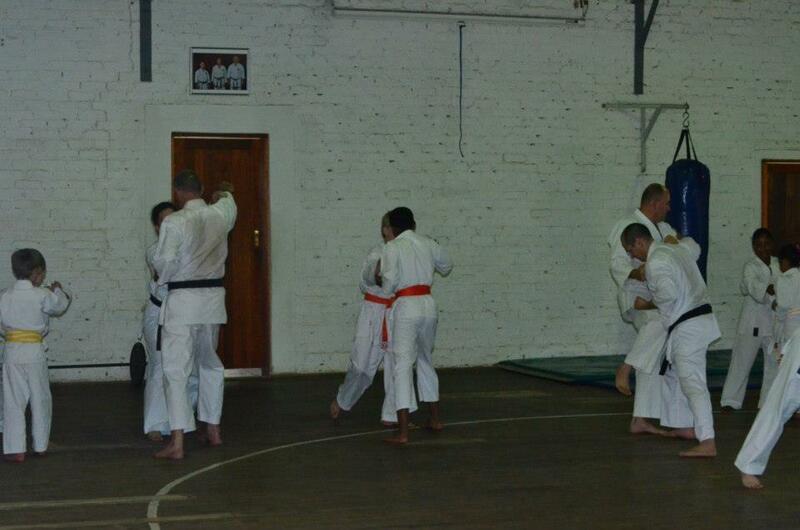 NEATNESS: Always train with a clean Gi and see that your body is clean as well. See that your nails and toenails are kept short and clean and always remove all jewellery before class. Male students wear no T-shirts underneath the Gi. Female students wear either a PURE WHITE or BLACK T-shirt or leotard underneath the Gi. All students are to tidy their hair in such a manner that it looks neat and of no threat to the members’ safety. Long hair should be tied down with an elastic or ribbon and kept out of the face. 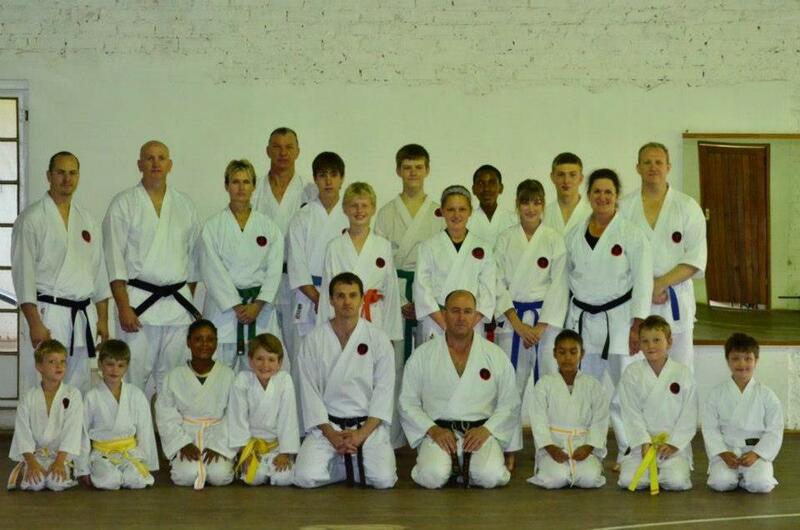 APPARATUS: Always treat the apparatus in the Dojo with respect and replace it neatly after use. SMOKING: No smoking is allowed in the dojo at any time. ALCOHOL: NEVER train after using alcohol. 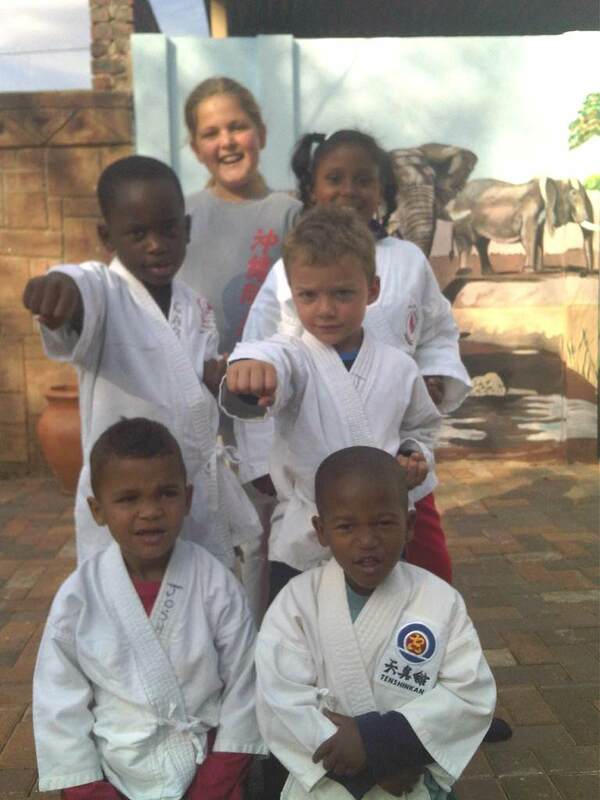 LANGUAGE: Swearing and bad language do not belong in the dojo, as Karate Do is a way of building self-discipline and humility. SHOES: Everyone, without exception, removes their shoes on entering the Dojo. This is a useful tradition, which reduces wear and dirt on the carpet and training areas. 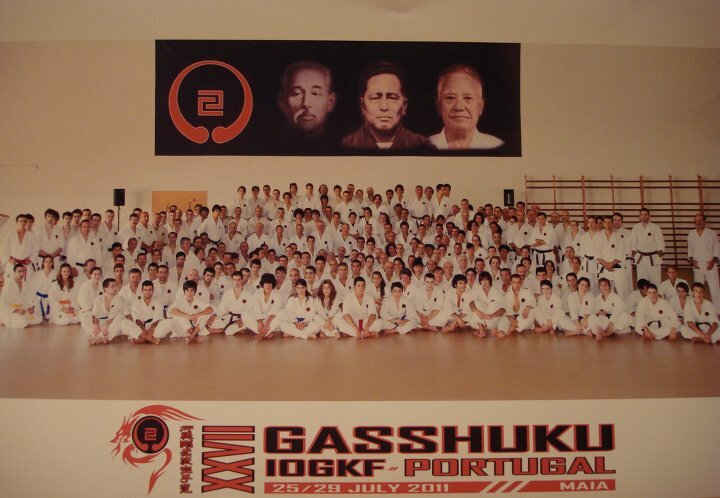 CLOTHING: A clean, white Gi with only the official IOGKF badge is allowed. NO National or provincial insignia is to be worn on the Gi. COMMUNICATION: Check the notice board regularly for new notices and make a note of future fixtures such as Gashukus, gradings, etc. in order to ensure you can attend, and bring the necessary items like membership books for signature, fees, etc. when required. PHYSICAL CONDITION: Everyone knows his own physical condition. Do not try and do the impossible. If you feel you cannot cope, move to the back of the class, kneel and rest until you can continue. If you have any injury, please inform the instructor before the class. FEES: Pay your fees promptly to enable the instructor to meet his overheads like rent, salary and other expenses. Remember when your annual affiliation expires and renew it promptly. POSITIVE ATTITUDE: Always attend class with a positive attitude. 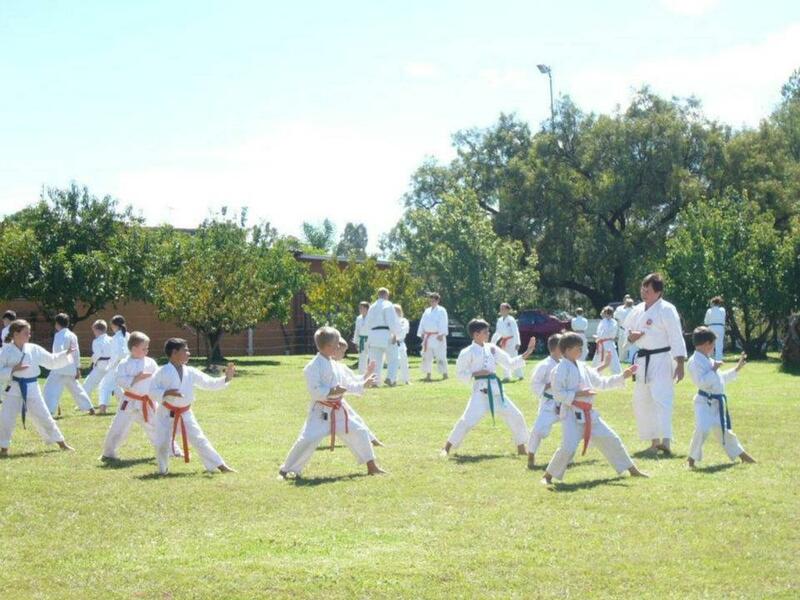 Karate is very repetitive, but one can always learn something new!